Hi. Wir sind Gordon Blue. Die Stimme von Gordon Blue. Mit ihm kann man keine Coversongs aufnehmen. Er macht jeden Song zu seinem eigenen. Unverwechselbar. 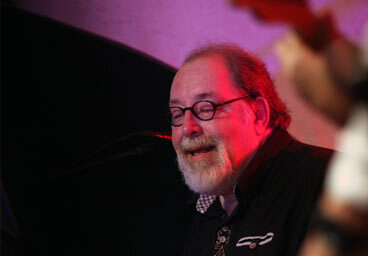 Udo Sailer ist Pianist, Keyboarder, Initiator, Leiter und Arrangeur von Gordon Blue. Das groovende Fundament von Gordon Blue am Bass und Arrangeur einiger Titel der Band. Dynamisch, hochgradig musikalisch und dabei technisch schlichtweg perfekt. Unser argentinischer Drummer. When a jazz act decides to record an album of covers, the selections are usually predictable; they’re often note-for-note versions of standards by Cole Porter, George Gershwin, and Irving Berlin. On their latest album “The Hippie Standards,” the German band Gordon Blue decided to do something completely different: jazzy makeovers of classic-rock radio hits. It’s an idea that can rankle both jazz and rock traditionalists, but Gordon Blue are absolutely serious; these covers are not silly nor are they disrespectful to the original material. The problem with most remakes is that they sound too much like what was previously released; if that’s the case, then what is the point? However, when Gordon Blue repurposes Lou Reed’s “Walk on the Wild Side” as sprightly piano jazz, it is a fresh, utterly unique take that breathes new life into an overplayed oldie. “I picked some well-known and beaten songs that everybody knows,” pianist/keyboardist Udo Sailer explained. “To paint these songs in new colors was a fascinating challenge.” It may not have been easy, but Gordon Blue have successfully changed the identity of these tunes while still retaining their initial flavor. For example, Led Zeppelin’s “Whole Lotta Love” hasn’t lost its punch; the main difference is that this time it’s brought upon by Sailer’s flowing piano instead of Jimmy Page’s fiery guitar. All About Jazz - Classic rock is new again. To the German band Gordon Blue, the FM radio staples of the '70s still have life in them. However, don't expect the group to unleash Led Zeppelin's “Whole Lotta Love" with the stadium-blasting power metal of the 1970 original. Instead, Gordon Blue remodels it as chilled-out piano jazz. Guitar purists may either be perplexed or outraged by the jazzy interpretations that Gordon Blue has compiled on their new album, The Hippie Standards, but there's no denying the respect and affection the band has for the original material. In 1997, '50s teen idol Pat Boone release his own collection of jazzed-up hard rock anthems with In a Metal Mood: No More Mr. Nice Guy, but Gordon Blue doesn't sink to its tongue-in-cheek treatment. Instead, this is a solid jazz record. Pianist/keyboardist Udo Sailer discusses the history of the group for an international audience that might not be aware of them yet. Q: How did the band get together and when did it form? 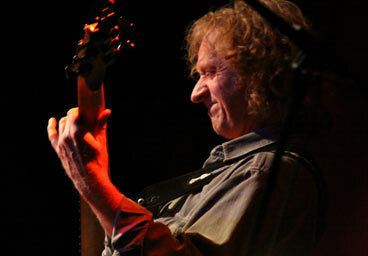 A: I've played together with the bassist Boris Friedel before. The others I searched for over the Internet. I didn't want to have a typical jazz singer, but a singer with soul who can handle the chord changes going on in jazz music. 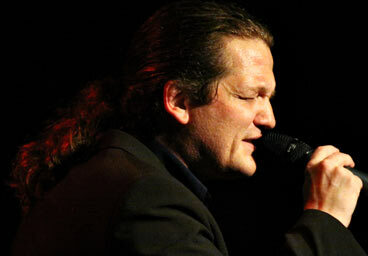 I found Torsten Haus on a page of a girl singer friend of mine. There he sang a duet with her and when I heard that, I said, “Wow, that is what I was looking for." I wrote an e-mail and had an answer immediately: Yes. A week later, he told me that he first wanted to refuse that invitation, but when he heard my demos he couldn't say no anymore. I also found our drummer Daniel Messina over the Internet. He had a very good reputation already, playing with Barbara Dennerlein for 12 years, around the world and on several CDs. 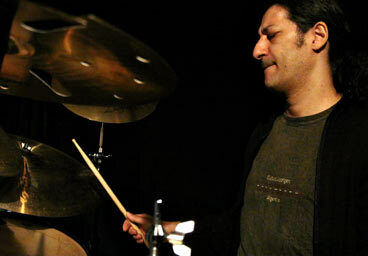 He played with Ernie Watts, Chico Freeman, and a lot of other well known musicians in Europe. Q: Who came up with the idea of doing jazz makeovers of rock classics? Q: What is the jazz scene in Germany like? A: The jazz scene in Germany is rising due to our very good schools, i.e., Staatliche Hochschule für Musik und Darstellende Musik in Mannheim which has very good teachers for jazz and pop. So there are a lot of well-educated young students on the growing market. The musicians in Germany try to find their own European identity. Some have found it like Eberhard Weber, Till Brönner, and Michael Wollny; others are still searching. For our band I can say that we don't have that ambition. We just play and have a lot of fun, and so does our audience. Q: How were the covers on the album selected? A: I picked some well-known and beaten songs that everybody knows. To paint these songs in new colors was a fascinating challenge. © 2018 by Gordon Blue. All rights reserved.